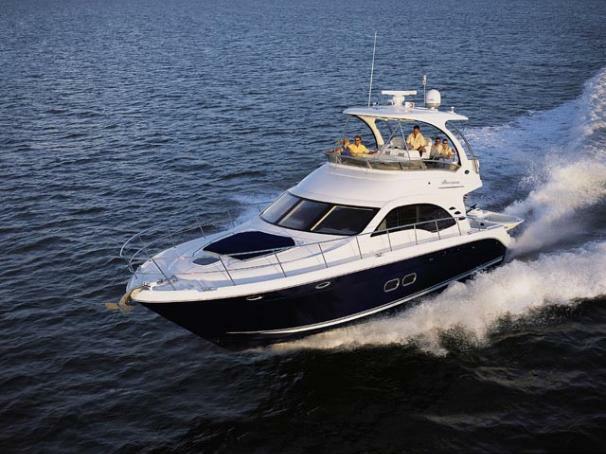 Boat Description The Sea Ray 52 Sedan Bridge is so beautifully designed and fully equipped, it`s virtually in a class all its own. Outfitted with a fiberglass hardtop, Isenglass enclosure and optional bridge air conditioning, this impressive yacht demands attention wherever it goes. Elegant features include wood flooring, fully adjustable thigh-rise helm seating, master and port staterooms with flatscreen TVs and two full head compartments with separate showers. Engine Notes MAN also available.